Summary: The apostle Paul, Martin Luther, and other fathers of the faith have identified the Roman Catholic system as the Antichrist. Daniel 7 identifies the Papacy as the Antichrist. Throughout history, others have also stated that papal Rome is the Antichrist. The Apostle Paul said that the "mystery of iniquity" was already working in his day, and would grow to full revelation before the Second Coming of the Lord. Calvin and Luther were not the only church leaders to identify the Antichrist. A host of reformers identified the Antichrist as the Papacy, such as Thomas Cranmer ("Whereof it followeth Rome to be the seat of antichrist, and the pope to be very antichrist himself. I could prove the same by many other scriptures, old writers, and strong reasons"vii), John Knox ("Hitherto the pope has been antichrist"viii), John Wesley ("He is in an emphatical sense, the Man of Sin, as he increases all manner of sin above measure. And he is, too, properly styled the Son of Perdition, as he has caused the death of numberless multitudes, both of his opposers and followers"ix), John Wycliffe, John Huss, Jerome, and John Melanchthon. The same papal power will reveal itself again in the closing stages of this earth's history, we need to be grounded in Scripture so that we are not swept away by the subtle workings of this power. i. L. Froom, Prophetic Faith of our Fathers Volume 2 (Washington D.C: Review and Herald, 1948): 437.
ii. 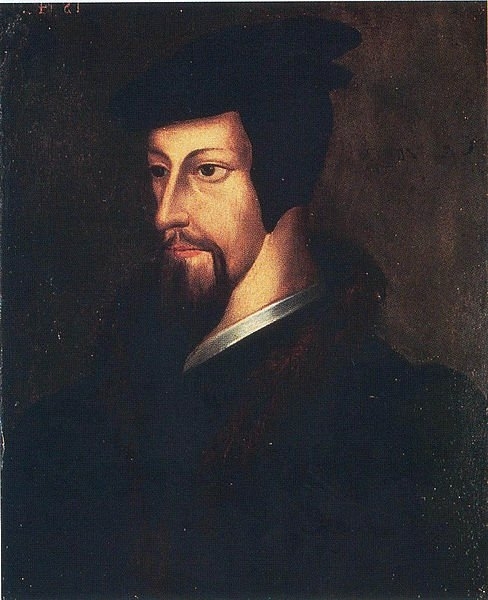 John Calvin, Institutes of the Christian Religion (1536). iii. Martin Luther, Schriften volume 21a, column 234, as translated in George Waddington, A History of the Reformation on the continent volume 1 (1841). iv. L. Froom, Prophetic Faith of our Fathers Volume 2 (Washington D.C: Review and Herald, 1948): 121.
v. Martin Luther, as quoted in D'Aubigné, book 6 chapter 9.
vi. Martin Luther, Commentarius in Apocalypsin (reprint). vii. Thomas Cranmer, The Works of Thomas Cranmer Volume 1: 6-7.
viii. John Knox, The Zurich Letters: 199.
ix. John Wesley, as quoted in Albert Close, Antichrist and His Ten Kingdoms (London: Thynne and Co, 1917): 110.